In Portland, the beer flows in perpetuity. Too much of a good thing? Baloney. If I had my way, every day of the week would have a sudsy soiree dedicated to a different brew, from the mightiest mass-market swill to artisan ales for the most elite of imbibers. And I’m not the only one who thinks so. In addition to the final days of PDX Beer Week, the next few days include the Nano Beer Fest at the Green Dragon, a confluence of courageous cottage-industry brewers like Natian, Captured By Porches, Heater Allen, and Coalition. In direct contrast to this salute to the “little guys,” starting tonight there is a most unlikely beer bash bubbling over at O’Malley’s (6535 SE Foster Rd) —the Macro Brewfest. I say unlikely, because Portland is justifiably famous for its regional craft beers, though once upon a time we were the land of Blitz, Rainier, Heidelberg, and many other modestly priced and mild-mannered lagers. Now in its second year, the Macro Brewfest, in the words of O’Malley’s proprietor and fest founder Glen Wallace, is a celebration of “budget beer.” From his vantage point behind the bar, Wallace has observed his customers consistently opting for less-expensive beer options during these calamitous economic times, and in a city teeming with foamy festivals, decided to create his own. 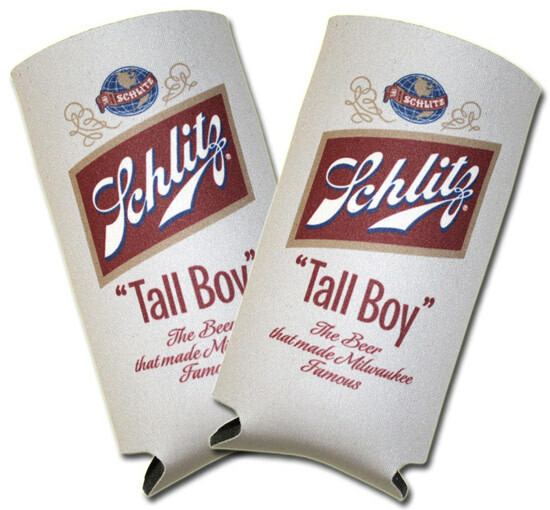 “Bigger is not necessarily better,” he admits, “but it certainly is cheaper.” For the next three days customers can toast tall boys from 14 different breweries from around the country—and vote for their favorite. Among the 16-ounce offerings will be familiar Northwest names like Rainier, Pabst, and Olympia, as well as Hamm’s, Rolling Rock, Old German, and Iron City. Stand tall, boys!